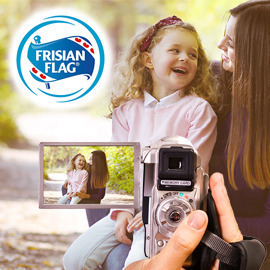 The goal of this contest is to select three finalists who will shoot their videos for Frisian Flag Infant & Toddler Nutrition. How does it work? After reading the full brief, you will come up with a story for Frisian Flag Infant & Toddler Nutrition and pitch it to us through a video. In order to help us understand the story, please show us a storyboard (sketches, pictures) of what the scene will look like. We will select the best ones and the Brand will pick three finalists. Those three finalists will get production grants (5,000 euros each) that they can use to produce the video and pay any actors that will star in the video. The finalists selected to produce the videos stand a chance to win a prize (final prizes are 10,000, 6,000 and 3,000 euros for 1st, 2nd, and 3rd places). As a mum, your natural instincts are to give the best to your child, for a smart mind and a strong body. While most mums understand that their children have different nutritional needs at each stage of their life, they may not know the how to meet these differing needs. Create a story about overcoming different challenges of motherhood at different stages of a child’s development, featuring Frisian Flag Infant & Toddler Nutrition’s Nutriplan System. Don't film your story yet but “pitch” it to us, to let us know what your final video will look like. Format: Pitch video featuring storyboards or pictures. Click here for more information on the pitch format. Send your entries before April 12 and win up to €34,000!